Yoga is a discipline of Hindu origins. The term comes from the Sanskrit, yuj, which is roughly translated to mean "practice" or "discipline." While many people think of it as exercising on a mat, it is far more than just the basic asanas (poses). It also involves other disciplines, such as meditation. In Western countries, the practice of yoga often involves going to a class (or watching a video), rolling out your mat and breathing your way through various poses, also known as asanas. While these are, indeed, some of the practices of yoga, many yogis and yoginis also follow other practices that are part of the discipline. There are eight sutras (or limbs) of yoga, each with a unique purpose. This refers to a set of personal ethics. In yoga, these include nonviolence, being truthful, not stealing, control of physical excesses and possessing only as much as is needed. These lay the foundation for the entire practice of yoga and underlie all other sutras. Niyama means self-discipline, and it is essentially a spiritual practice, such as the development of regular meditation or prayerful practices. There are hundreds of yoga poses that facilitate chi flow, and you'll find they are called different things in different types of yoga. During a yoga class, you flow from one pose to another in a series of asanas designed by your yoga teacher. Pranayama is also known as yoga breathing, and it is a key component. The purpose of pranayama is the control of prana, or life force. There are many pranayama exercises offered, such as alternate nostril breathing, which are practices by themselves. However, pranayama is also often combined with asanas to deepen the practice of each. For example, some yoga instructors encourage a type of breathing called ujjayi breathing with asanas to warm the body and calm the mind. In pratyahara, one withdraws from external stimuli to achieve transcendence from sensory input. Dharana, or concentration, is a sense of focus without distraction. One can achieve dhrana through focus during asanas. Dhyana is the meditation or contemplation sutra of yoga. In yoga, meditation helps to quiet the mind and bring one to a state of presence or awareness. In a typical yoga class, you may find meditation at the end when you lie on the floor in savasana (corpse pose) for several minutes while you quiet your mind. Following a personal meditation practice could also be defined as this sutra. This is the final limb of yoga that refers to transcendence or a state of ecstasy. By following each limb of yoga, this is its ultimate goal or destination. During the various yoga practices, such as asanas, pranayama and meditation, practitioners also employ hand gestures called mudras. Each gesture has a unique energy and supports the flow of chi to various aspects of life. For example, the pran mudra represents life force while surabhi mudra stimulates wish fulfillment. With the basic practices in place, one can engage in various types or forms of yoga. While there are many, some types are more commonly available. Hatha yoga is the practice of physical postures. There are different types of Hatha yoga, but if you are performing asanas, you are doing Hatha yoga. Developed by yogi B.K.S. Iyengar, Iyengar yoga focuses on using props to ensure proper alignment in all asanas. Alignment is of utmost importance in this form of yoga. If you've done a hot yoga class, you've done Bikram yoga. The goal of Bikram yoga is cleansing via sweating through asanas in a room with the temperature turned up. Sometimes called power yoga, Ashtanga yoga takes you through a set sequence of asanas focused on power while focusing on breathing. This is a powerful workout that will leave you sweating. The cousin to Ashtanga yoga, Vinyasa yoga links breath to movement. This form of yoga focuses on the transitions between asanas and the smooth flow of movement throughout a session. For people in need of physical, emotional, or mental restoration, restorative yoga is a slow, gentle form of yoga mostly performed with sitting or lying poses held for long periods. 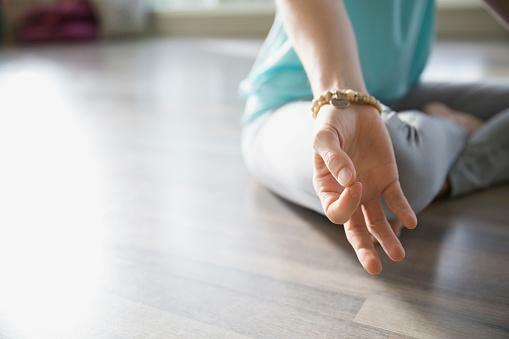 While many people consider yoga a path following all eight sutras, others use it as a form of physical activity and relaxation. 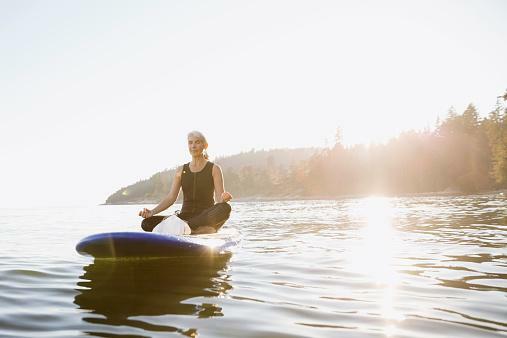 Regardless of your goals, there is a yoga practice for you, whether you just want to dip your toes in or you wish to go full-on philosophical with yoga as a spiritual discipline that guides your life choices.